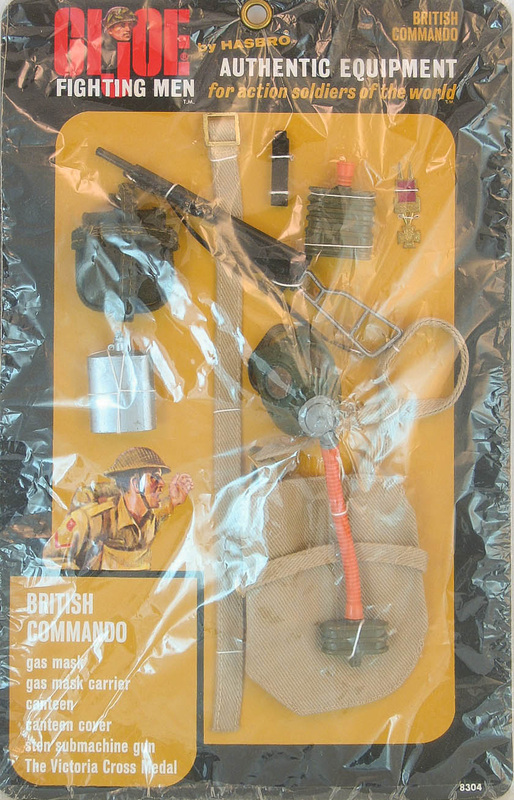 Cut similarly to the MP Jacket, the British Commando's top is a tad more roomy and made of a material with a slightly fleecy texture. Outfits are generally green, but can tend toward brownish. 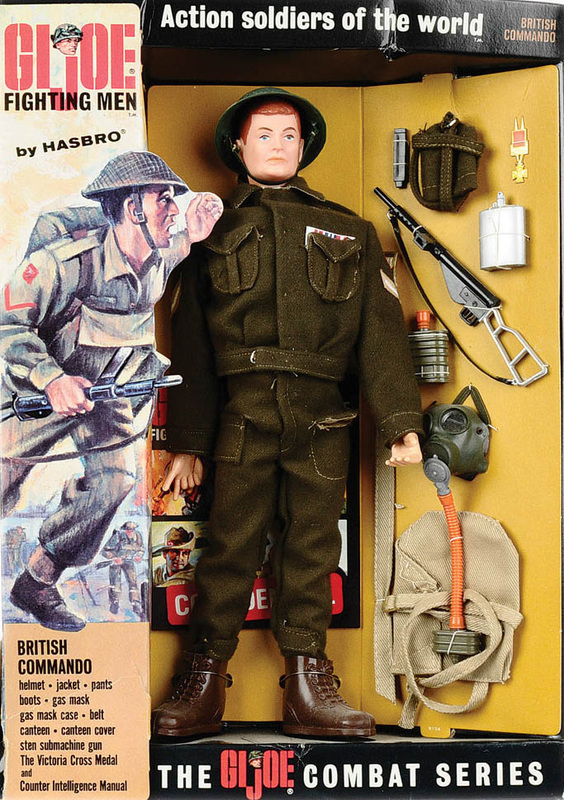 A rare early issue or prototype version is a light grey-green and is sometimes called a 'wooly brit.' The set was available in a deluxe window box (8104) and as a narrow figure box (8204) and a carded set of accessories (8304). The small box version with the accompanying accessory card. 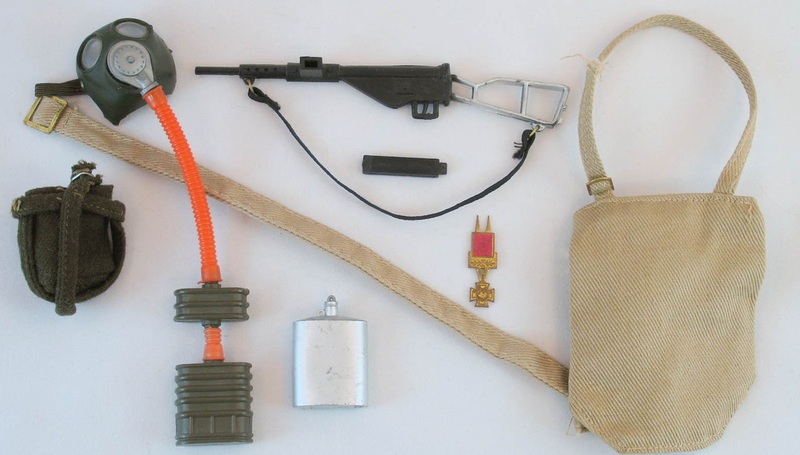 Equipment (below left) included canteen and cover, sten and clip, gas mask and bag, belt, and the Victoria Cross medal. 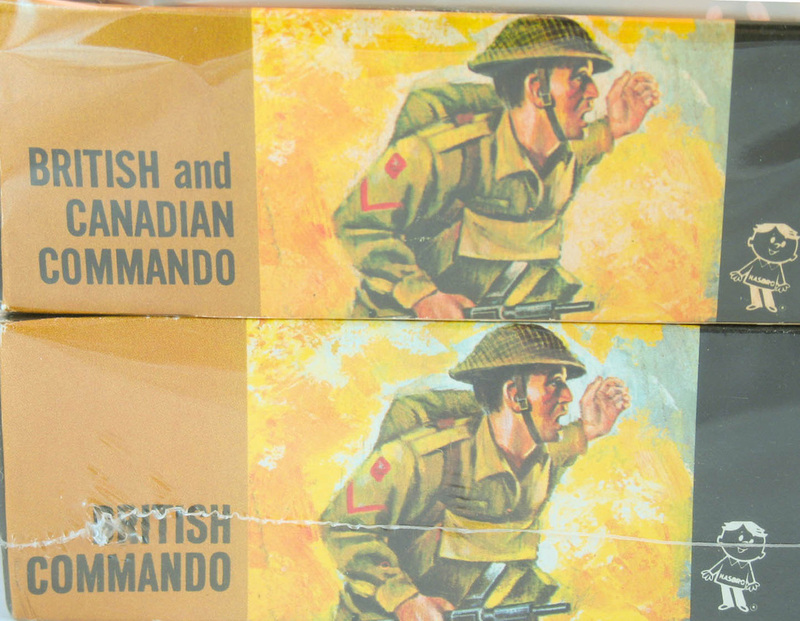 A rare version of the box was released in Canada, which renamed the figure the 'British and Canadian Commando' to increase sales in the north (below right). The side of the British and Canadian box.